Schedule Your Appointment Ahead of Time! 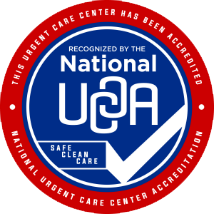 UrgentCare helps those with busy lives fit healthcare into their day. Appointments are never required and our extended evening and weekend hours allow you to seek healthcare without having to take time off from work or school. Patients with life threatening illness, injury or symptoms such as chest pain, should be seen at the nearest emergency room. Most insurances are accepted. Be part of the region’s largest multi-specialty physician group, University Healthcare Physicians…..TOGETHER transforming primary care and specialty care in the Eastern Panhandle. Our WVU Urgent Care clinics serve two of the fastest growing counties in West Virginia in newly constructed facilities with digital radiography, point of care lab testing, and an electronic health record integrated with over 20 regional clinics and our community hospitals. WVU is an AA/EO employer – Minority/Female/Disability/Veteran – and is the recipient of an NSF ADVANCE award for gender equity.